Today, I conducted an in-depth interview with Simon Moshenberg of the Jerome N. Frank Legal Services Organization at the Yale Law School legal clinic. Moshenberg is one of the attorneys for the "Danbury 11" and has been actively involved in forcing the City of Danbury to hand over all information regarding an ICE raid in September of last year. 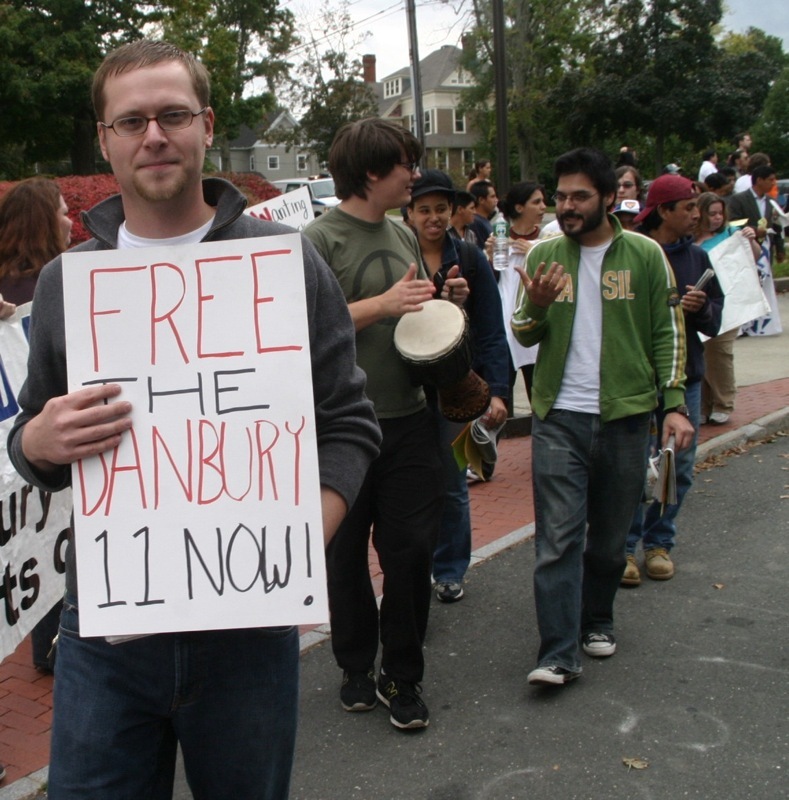 For those who don’t know, the Danbury 11 refers to the eleven day laborers who were picked up in a raid by Immigration & Customs Enforcement agents. According to news reports, back in September at Danbury’s Kennedy Park, ICE agents posing as contractors pulled up in a truck and stated they would pay 11 dollars an hour to men who would help take down a fence. Eleven day laborers took up the offer, entered in the truck, and were taken to another location where they were arrested. In response to the raid, a FOI was filed against the Department of Homeland Security and the City of Danbury in an attempt to seek information and determine what role the city had in the raid. In several interviews to the press, Mayor Boughton has repeatedly stated that the City played NO ROLE in the raids. Once Moshenberg and the Yale law students obtained all the requested material from the city from their FOI complaint, new details surrounding the city's involvement in the raid emerged, which ultimately calls into question the claims the mayor. With the new revelations made public at the Danbury 11 court hearing last week, I caught up with Moshenberg to learn more about the details that emerged from the FOI request, find out what role the city of Danbury played in the raid, and ultimately find out if the mayor was being dishonest to the public in statements he made to the press about Danbury's role in the raid. 1.: Information obtained from the FOI request shows Danbury police officer as the arresting officer on booking report. According to Moshenberg, the city of Danbury has not issued an official response in any legal proceedings regarding DHS's statement. UPDATE: If you're with the media and are taking quotes from my interview with Simon, please make sure to cite this blog in your report. As I stated in several emails, I understand the seriousness of this story and will have more of the interview posted as quickly as possible. Thank you. UPDATE 2: I receiving inquires from the media on this on-going story. If you're a member of the media and having trouble locating the email address for this site, you can email me at hatcityblog@yahoo.com. During the next template update, I'll make it easier to locate my email address.